7-Eleven has a BYOM event! 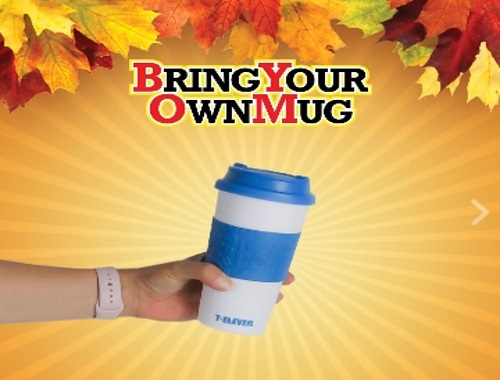 Bring your own ug and fill it with your favourite 100% Arabica coffee, hot chocolate or flavoured latte for Free! Offer is valid Friday, September 29 between 7am-7pm at the 7-Eleven Coffee Bar. Mugs must fit within a 26cm diameter.